Tyson chicken is partnering with Foodbuzz to give the chance for some Foodbuzz Tastemakers to prepare a recipe with Tyson's Grilled & Ready line of chicken and beef, and potentially win a trip to the Foodbuzz Festival later this year. 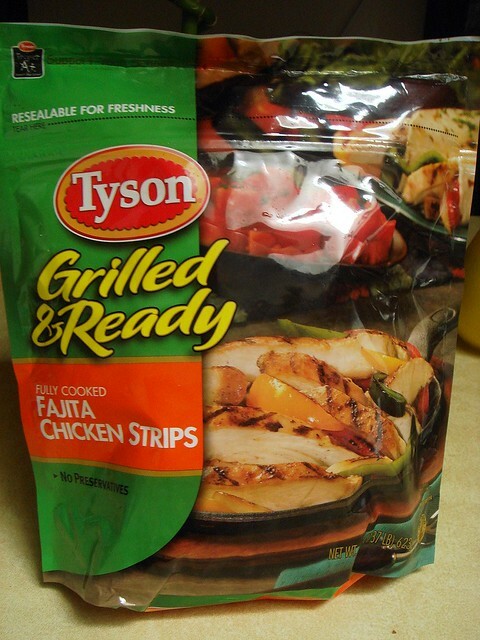 Tyson Grilled & Ready chicken is perfect for those busy nights when you want something quick, but still wholesome. I used the fajita seasoned chicken strips to make a fajita pizza. The resealable bag contains 22 oz. of chicken strips, good for about 7 three-ounce servings.. It costs $9.99 full price and can be found at stores like Kroger. There's a product locator on their website. Since the chicken is already cooked, you simply heat however much you want in a skillet over medium heat for 3-5 minutes before using in a recipe. There are also microwave instructions. I used a premade pizza dough. Make sure yours is at least 1/2 an inch thick, as the toppings are heavy. 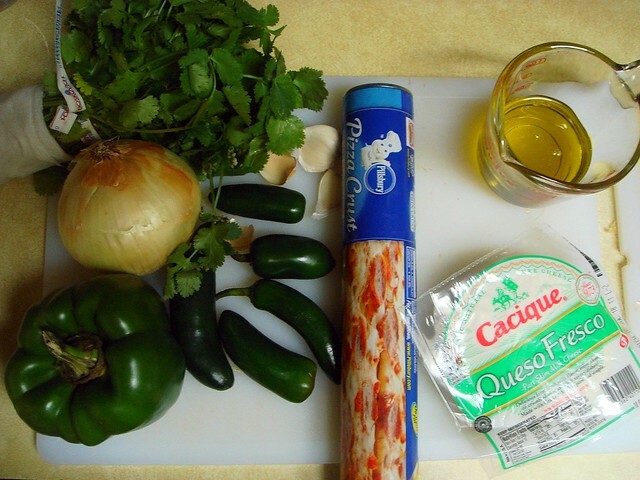 The "sauce" is a quick jalapeno-garlic salsa, a sprinkling of Mexican-blend cheese on top, and sauteed peppers and onions to go along with the chicken. I make this salsa for tacos and dipping often. It's quick, flavorful, and goes with more than just Mexican food. 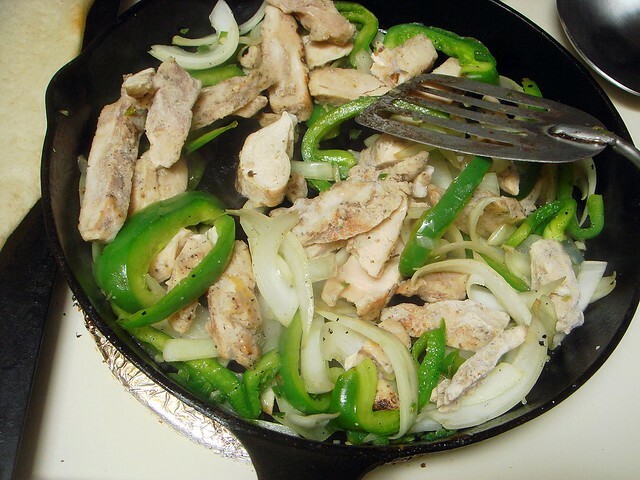 The peppers and onions were sauteed first, then cooked the rest of the way with the chicken. 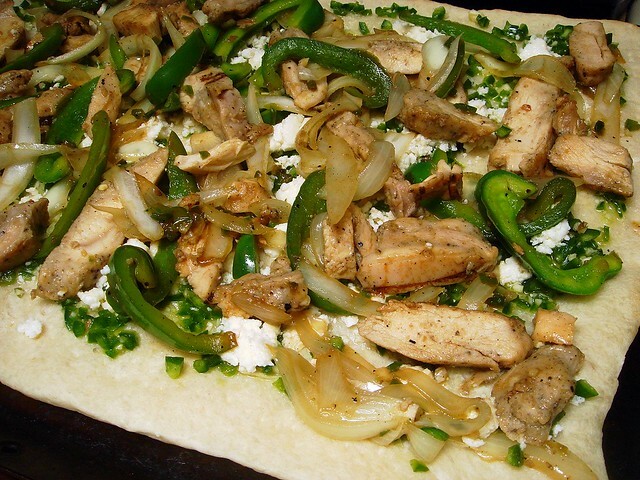 The jalapeno salsa is spread on top, followed by the queso fresco and the peppers, onions, and chicken. Since the pizza crust is parbaked, I put it in the oven for 10 minutes to brown the dough and keep the rest of the ingredients warm. The pizza was good and had a fresh taste. The chicken was moist and flavorful, which was surprising to me since most chicken breast tastes bland and dry. Because precooking makes preparation time minimal, I'd buy it again if I was looking for a less expensive alternative to going out to eat. Preheat oven to 425 degrees. Place pizza crust on a baking sheet. 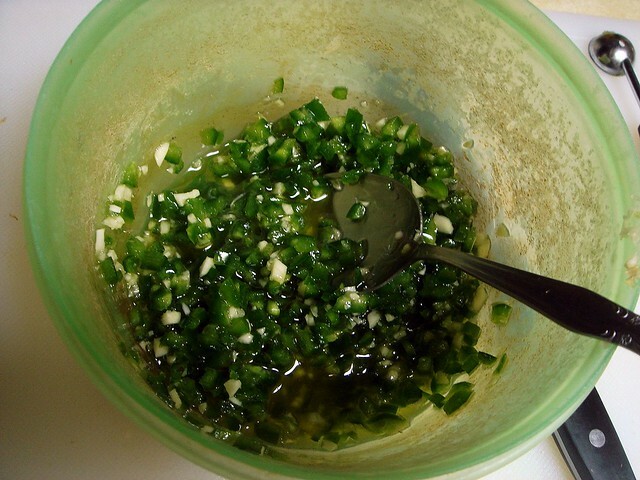 Mix together jalapenos, garlic, 1/4 cup olive oil, and a pinch of salt in a small bowl. Stir to combine and set aside. In a large skillet, heat 1 tablespoon olive oil over medium high heat. Add bell peppers and onions; sprinkle with 1/4 teaspoon salt. Cook, stirring often, for 5 minutes. Lower heat to medium and add chicken. Cook for an additional 5 minutes. Stir in Worcestershire sauce to coat; remove from heat. 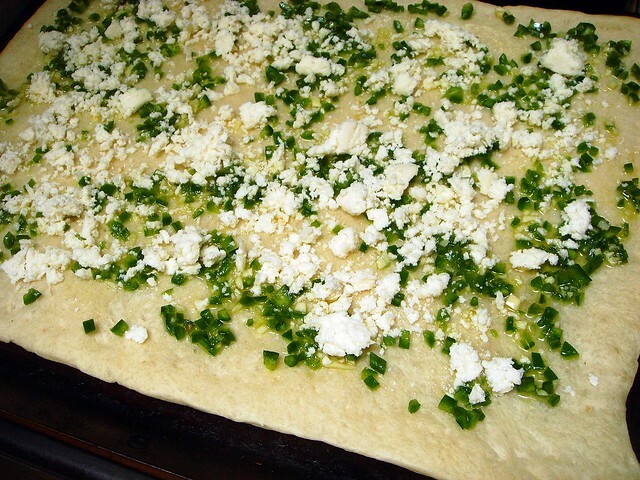 Spread pizza crust with the jalapeno-garlic salsa, discarding any extra oil. Sprinkle with cheese, then spread chicken mixture on top. Bake for 10 minutes. Cool slightly. 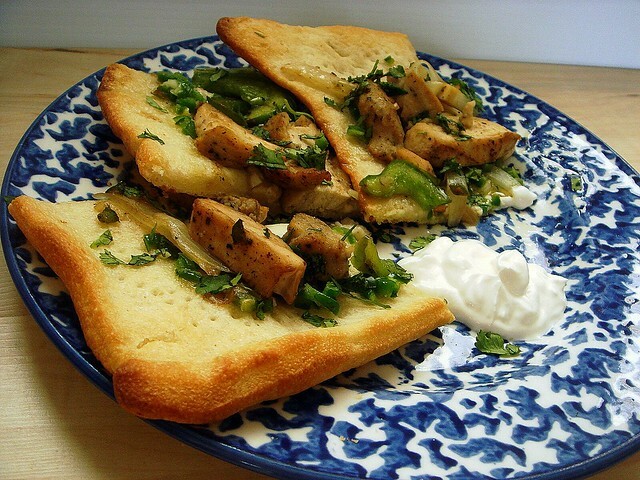 Slice and serve with cilantro and sour cream. Looks awesome... Wish we could buy Tyson Grilled where I live.. Thanks for sharing :) Happy Easter!